Micro businesses are those employing between 0-9 people - businesses like mine (where there's just me! ), which is why I think #MicroBizMatters Day is the most fantastic idea, launched by my lovely friends and colleagues Tony Robinson OBE and Tina Boden while wearing their co-founder hats from Enterprise Rockers. I've been working with Tina and Tony (T1 and T2 - I'm not sure I dare say which is which!) through Enterprise Rockers and their other business ventures for quite a number of years now, and the support they give to small businesses such as mine is fantastic. I'm now proud to say I'm involved with #MicroBizMatters Day again this year, and T1 and T2 commissioned me to produce designs for the branding (as you see above), the sponsorship brochure, souvenir programme, e-invites for our celebrity guests, banners and promotional goods. I'm delighted to have helped out as one of the Head Roadies on the days themselves - twice in London, the last one in Manchester and the next in Hull! 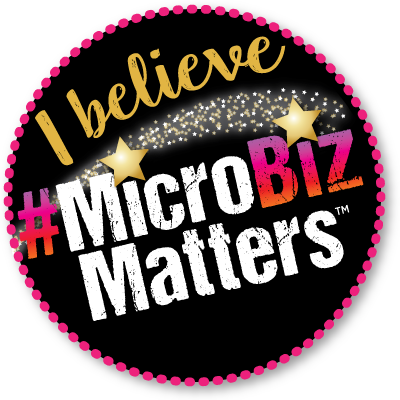 #MicroBizMatters Day is a day designed to show the world the massive contribution independent business owners and the self-employed make to the global economy, job creation and community. We call this combined power of micro enterprise owners the #PowerOfPlenty. This annual day of Recognition, Action and Learning helps us achieve the aim of the Enterprise Rockers’ global community and movement that was launched in January 2012; that aim is ‘to make life better for micro enterprise owners everywhere’. #MicroBizMatters Day of actions is primarily for these people – the #PowerOfPlenty. But on #MicroBizMatters Day everyone can play and do something to support micro enterprise. 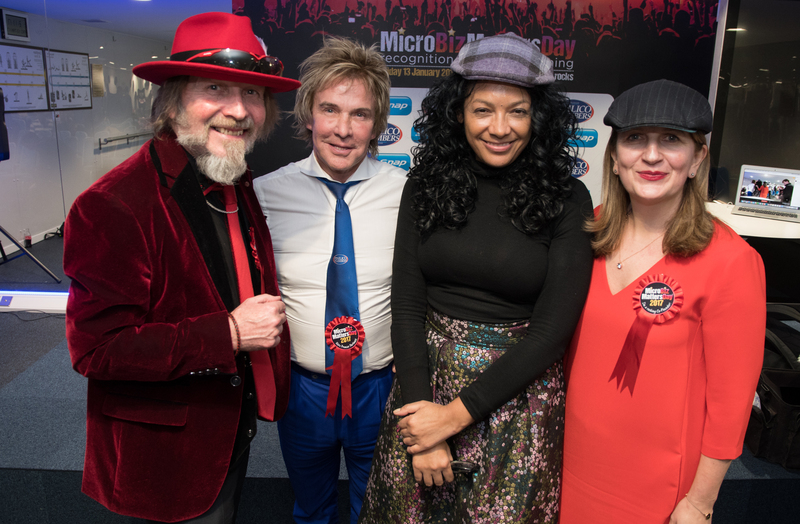 You can visit www.microbizmattersday.rocks to find out more, or click on the Enterprise Rockers round button below to see what fabulous work Tina and Tony carry out to help us! "Thank you so much - you are a star of the shiniest kind!"